Please enjoy an old television commercial that Terry Parolin had made in the summer of 1987. Complete with all of eighties production value one could hope for. It was made prior to Terry opening his service shop and it highlights our then partnership with “Chapman Imports” auto service. When Chapman Imports closed its doors in 1990, Terry saw an opportunity to open his own service shop with John Chapman, of Chapman Imports, a key member of our team for many years after that. In celebration of our new logo and website we decided to use some old photos to chronologically depict the growth and changes of our company since inception in 1985. Hover your curser over each image to read a descriptive caption for each photo. 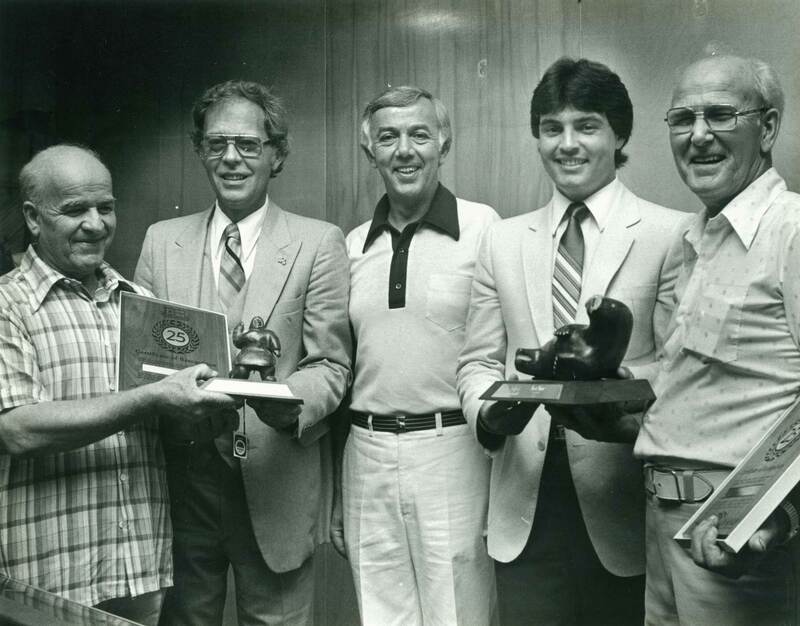 The late Earl Parolin (left) receiving a recognition award from General Motors Canada for 25 years of participation in one of their technical service programs. In 1985 at the age of 69, Earl decided to retire and help his son Terry in a new business venture. By retirement, Earl had over 40 years of experience as an automotive technician, nearly all as a General Motors master technician. He quickly acclimatized to working with European cars and never looked back. 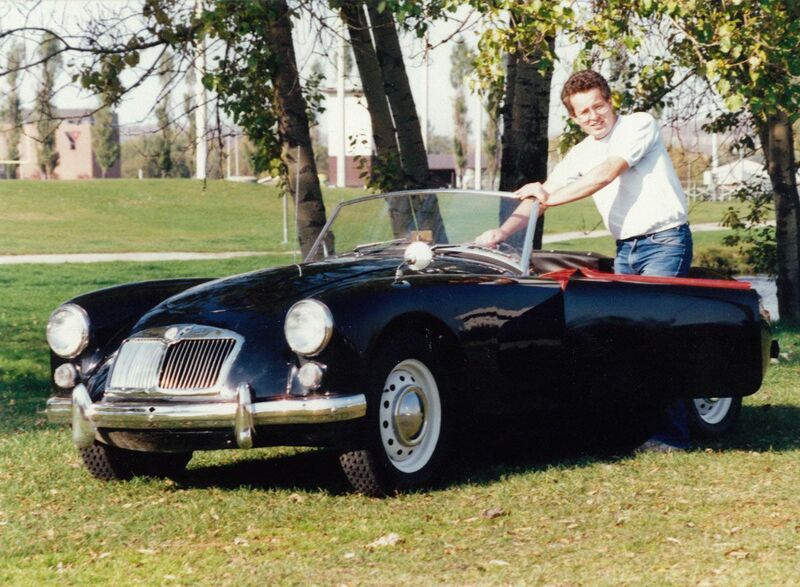 Terry Parolin posing with a 1959 MGA roadster next to Thompson Park in North Bay. At the core his business and a driver of its success, is an unbridled enthusiasm for the European automobile. Circa mid-80s. 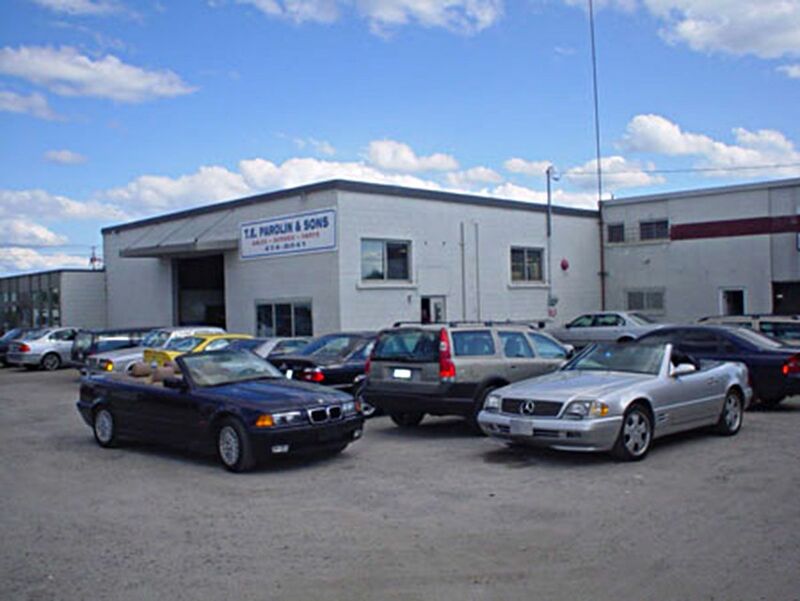 The genesis of this business is a car lot on Laskeshore Drive beside the Mandarin restaurant and across from McDonald’s. 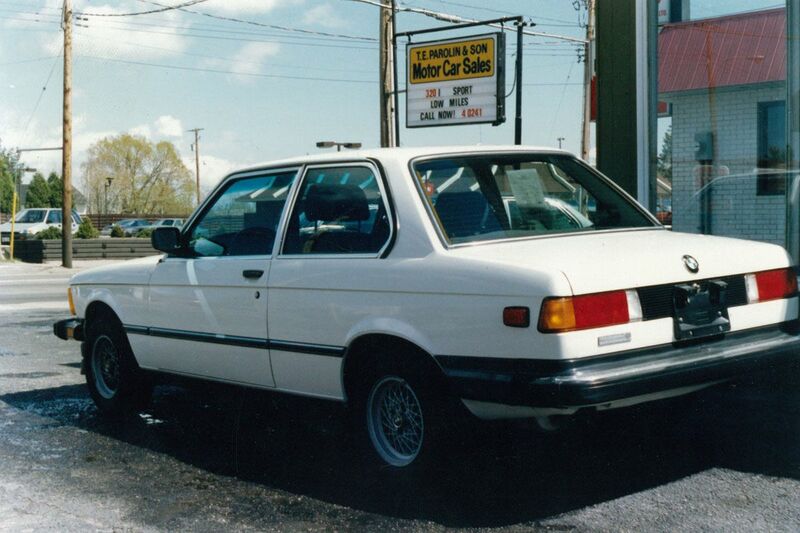 The lot opened in December 1985, and featured mainly BMWs as the 3 series served as Terry’s first foray into the world of European automobiles when he purchased a brand new 320i in 1981. Before the days of the internet and websites, Terry kept a photo album on hand of available units. The permanent marker indicated to us this unit had found a proud new owner. 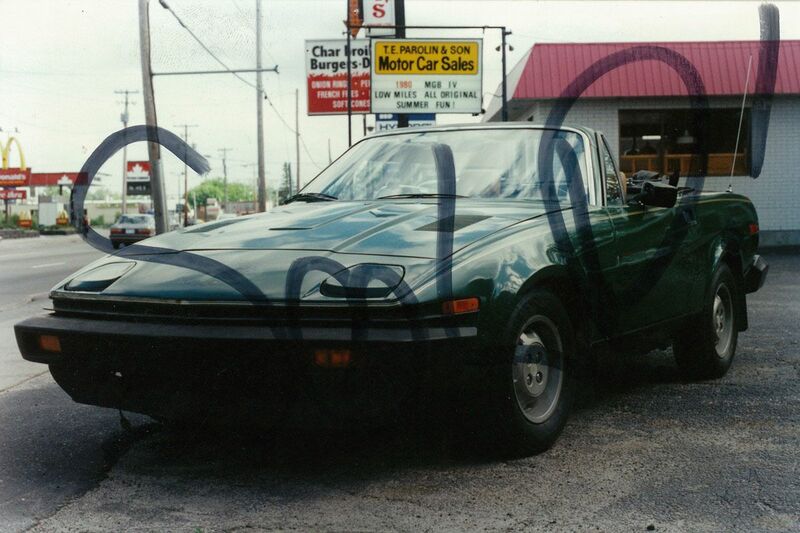 We have always maintained an interest in British cars, this Triumph TR7 finding a home in North Bay in 1987. We can proudly count its owner as a loyal client of ours ever since. Although she later switched to a Volvo convertible as her summer car. In this album photo we see the Lakeshore lot in winter, being North Bay, a pick up truck with snow machine in the back for added traction is not out of place. The upper left of the photo reveals the “showroom” housing a 1969 Lotus Europa S2. 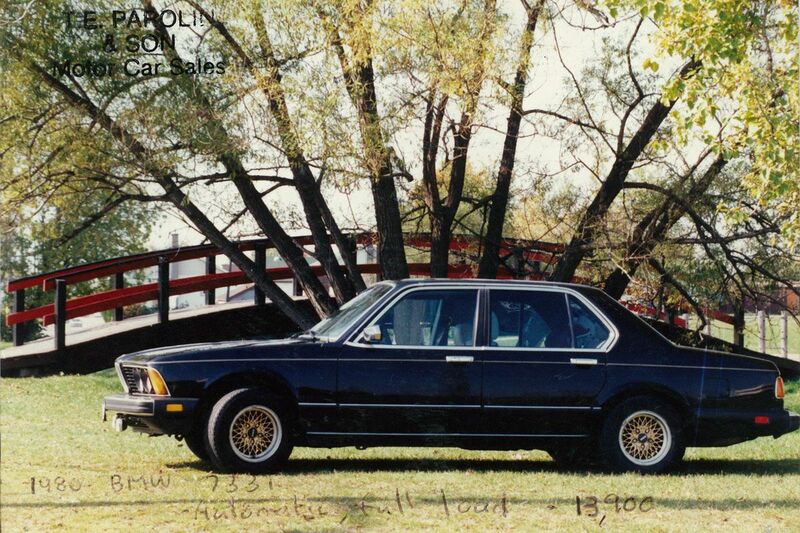 A white 1973 BMW “E3” Bavaria sedan graces this humble Lakeshore lot with its inherent beauty in the upper right. 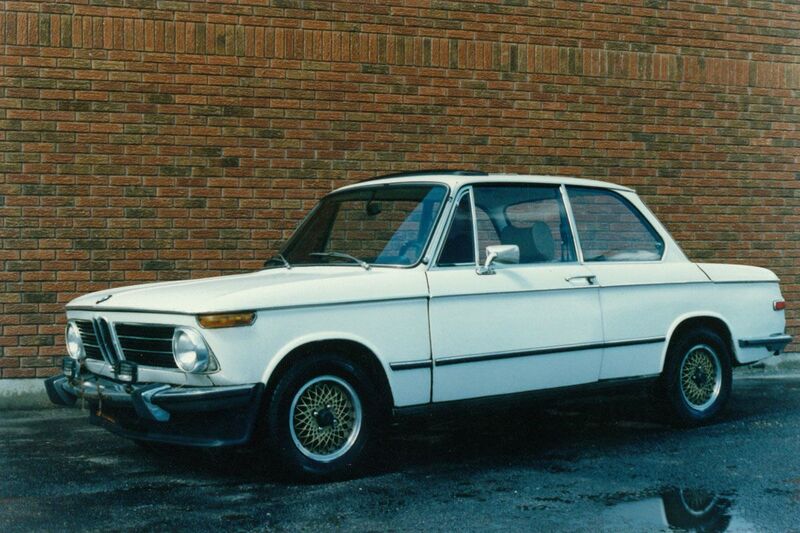 Very cool 1973 BMW 2002 Tii posing for its “album shot “against the brick wall of the Mandarin restaurant. 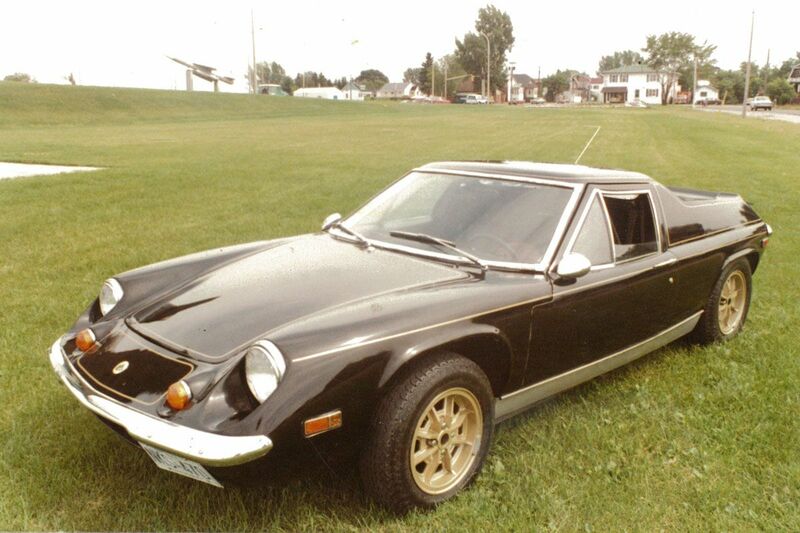 Terry’s 1972 Lotus Europa Twin cam “john players special” in a glamour shot at Lee Park in North Bay. 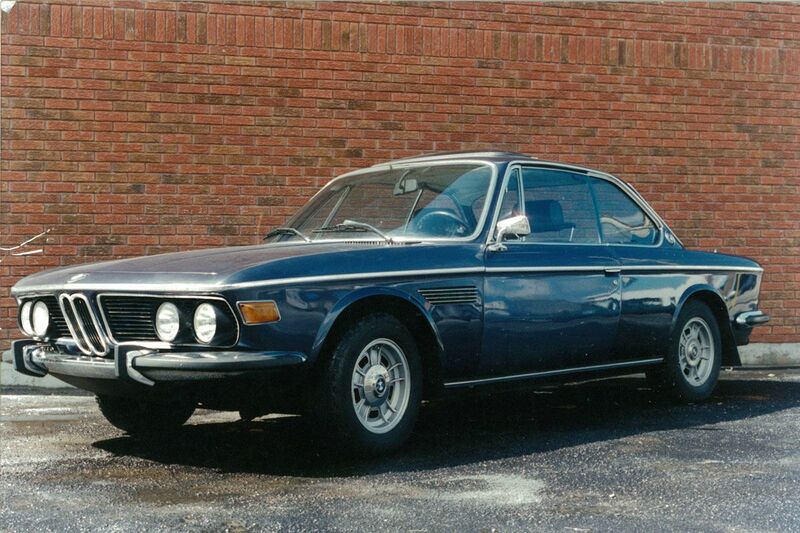 This along with the 1969 Lotus, the 1981 320i and a Lada are the reason Terry is in the car business today. He quickly found insuring a dealer plate and a car lot to be cheaper than all four cars on his personal policy. 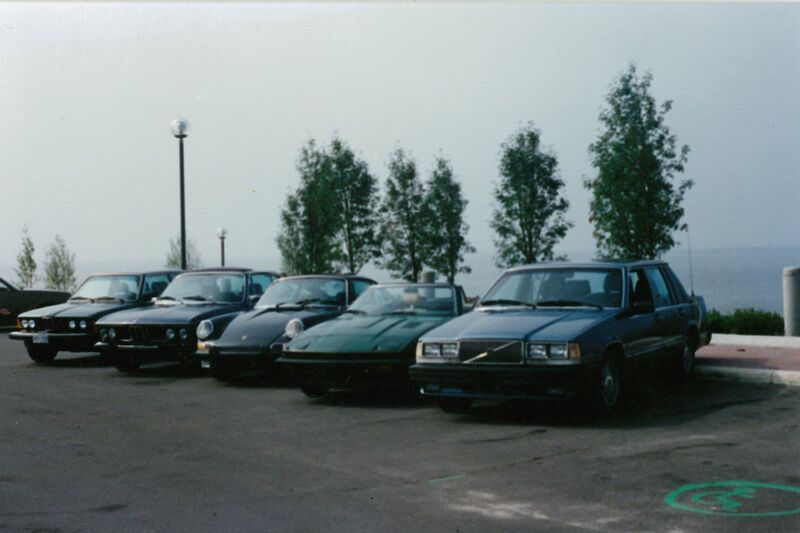 Group pose at Memorial Drive, Circa 1987. 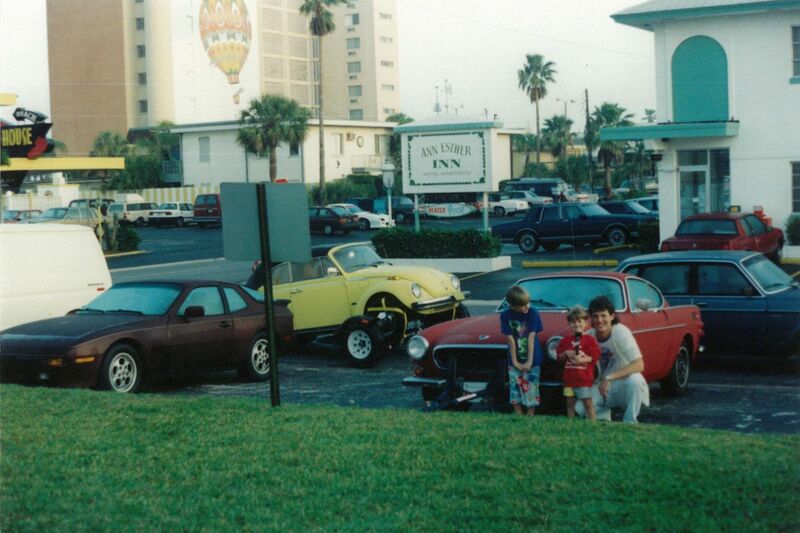 From left : 1981 BMW 320i , 1970 BMW 2800CS Coupe, 1969 Porsche 911 S, 1980 Triumph TR7, 1985 Volvo 740 Turbo. 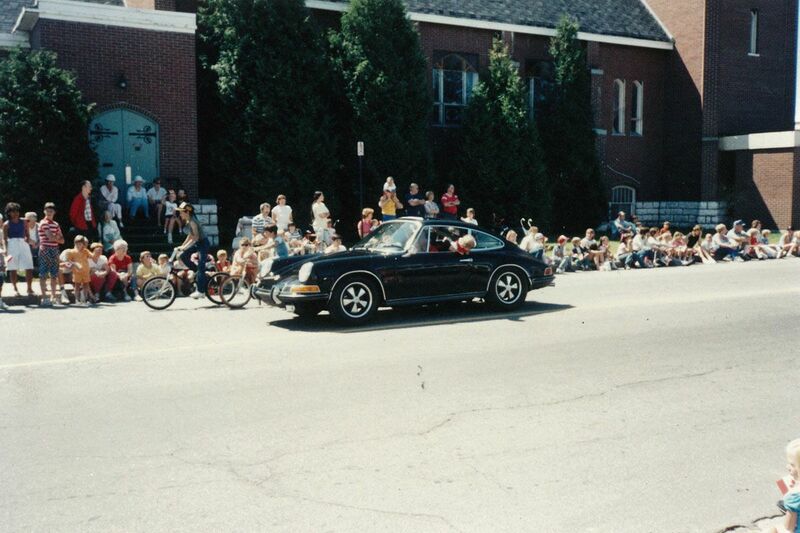 Cassells St Parade in summer of 1987, 2 year old Andrea Parolin performing a technical inspection on the left rear wheel of the 1969 Porsche 911S, on the fly. 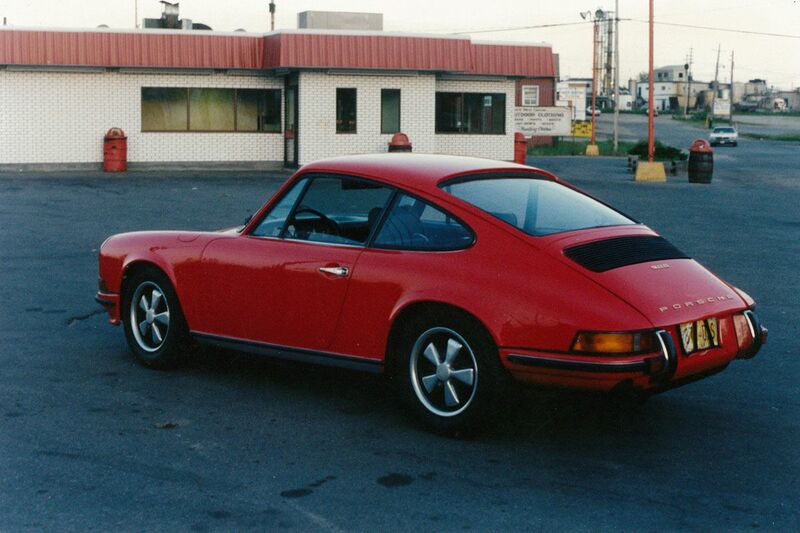 A European specification 1969 Porsche 911S at our next lot location, 1405 Hammond, beside what is now Burger World. That summer Terry had two 911s in stock, “two 69 911s came up for auction at Manheim Toronto that summer, and I bought em’ both”, he recalls. 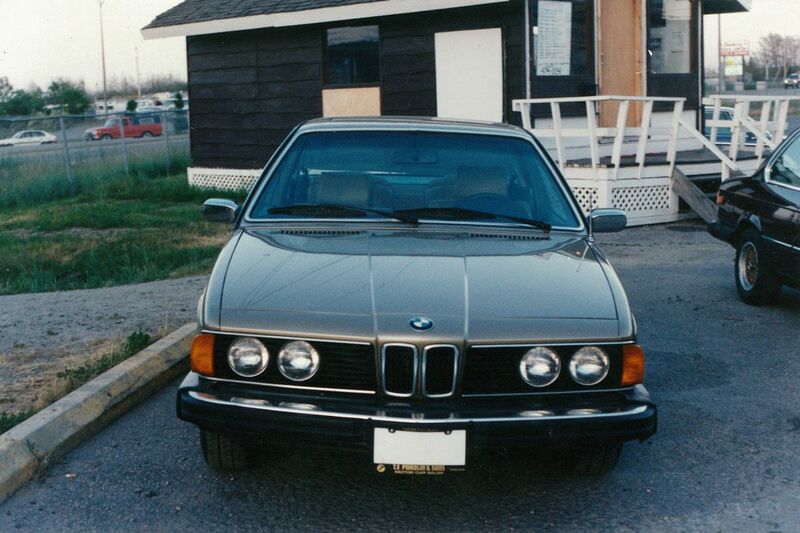 Beautiful1980 BMW 633i on display at the 1405 Hammond corner lot. For many years those waiting at the lights going into the Northgate mall were allowed to gaze at some very cool cars to their right. 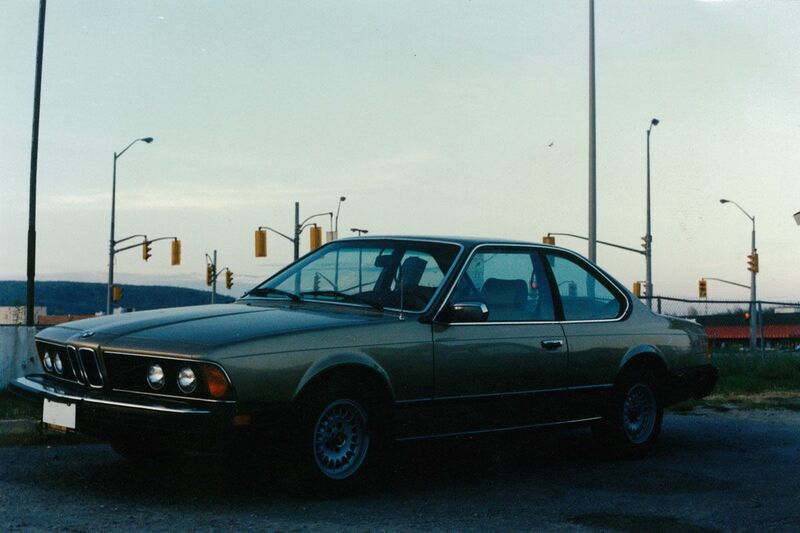 This vehicle (along with many) being purchased from our trusted Toronto wholesaler, Ian Garry, whom still supplies us with quality units to this day. Again, before of the days of the internet, a dealer would have to buy cars in person at auctions. Sometimes this meant driving to Florida to buy cars! 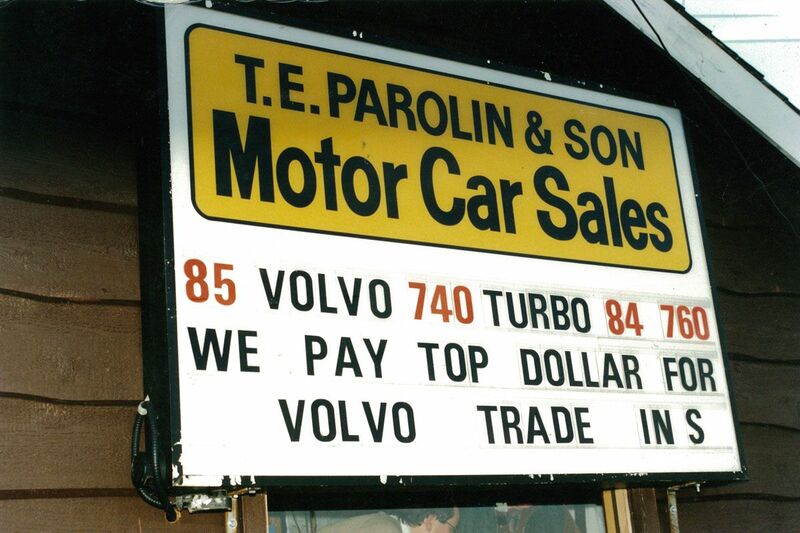 Depicted in front of the Volvo P1800 is: Jayme Parolin (long shorts), Jon Parolin (short shorts) and Terry’s long-time friend Ian Shago (mullet). This particular “Florida run” saw Terry at the wheel of a 1985 Porsche 944, Joanne 4-wheel towing a 1969 Volvo P1800 with a wood paneled Chevy caprice wagon. Ian handled the Volvo 240 towing the beetle cabriolet. 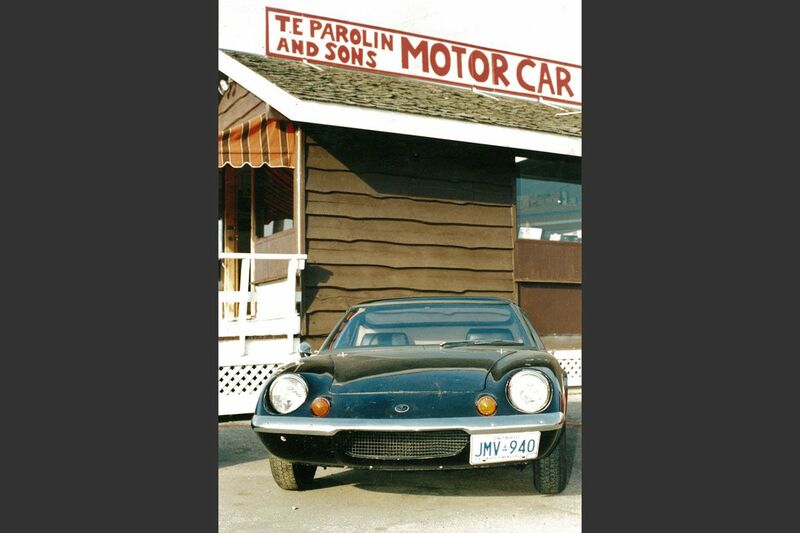 1969 Lotus Europa S2 in front of the “sales shack” at 1405 Hammond. 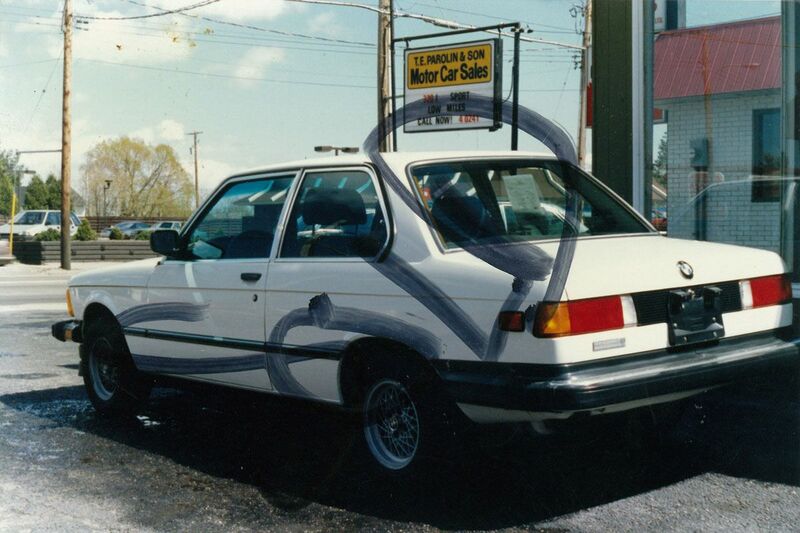 The “sales shack” served as Terry’s main office at the lot until he added the service shop to the business in 1990. 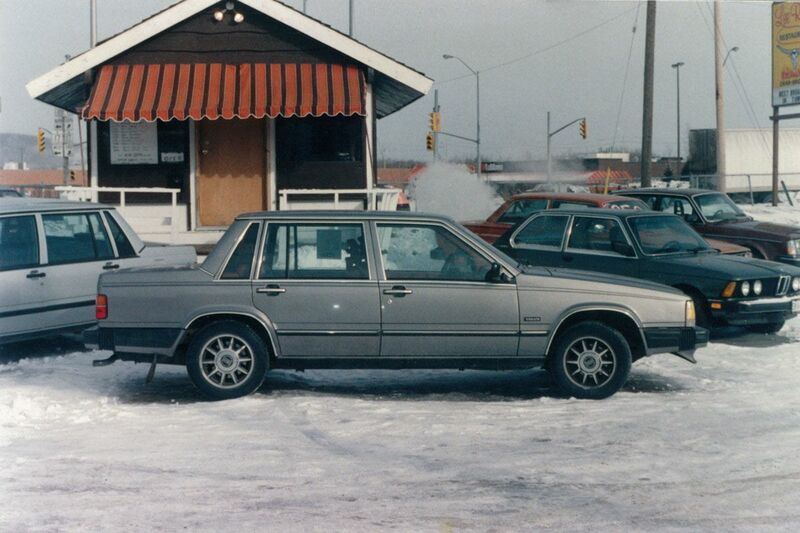 1405 Hammond lot , winter, late 80’s, the marketability of Volvos in North Bay was beginning to be recognized. 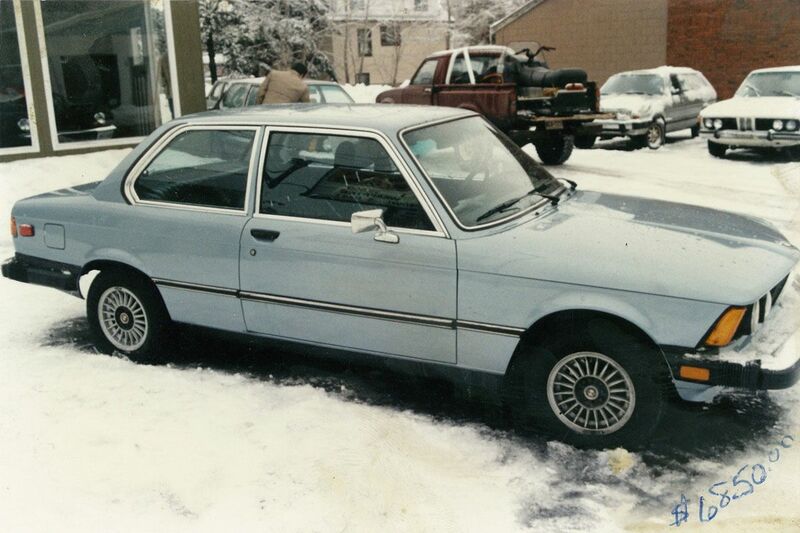 As seen by only one BMW in the shot and four Volvos. 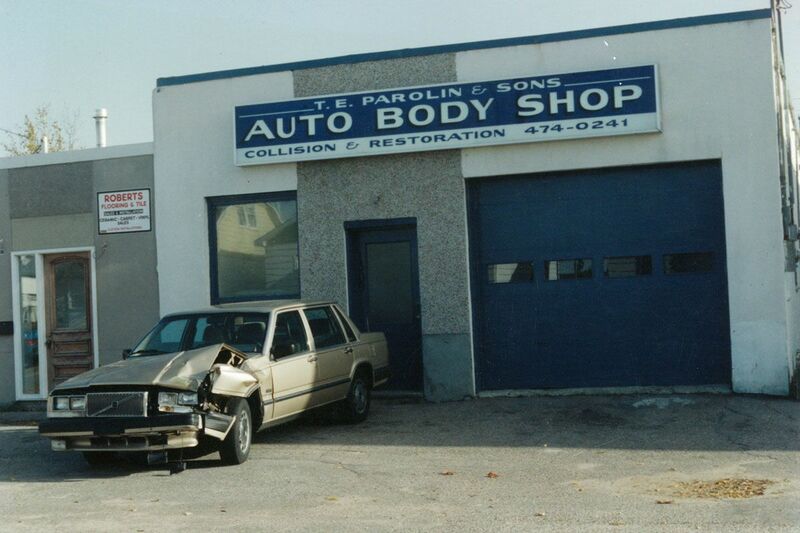 Terry Parolin briefly entered into the auto body world in the mid-90’s. 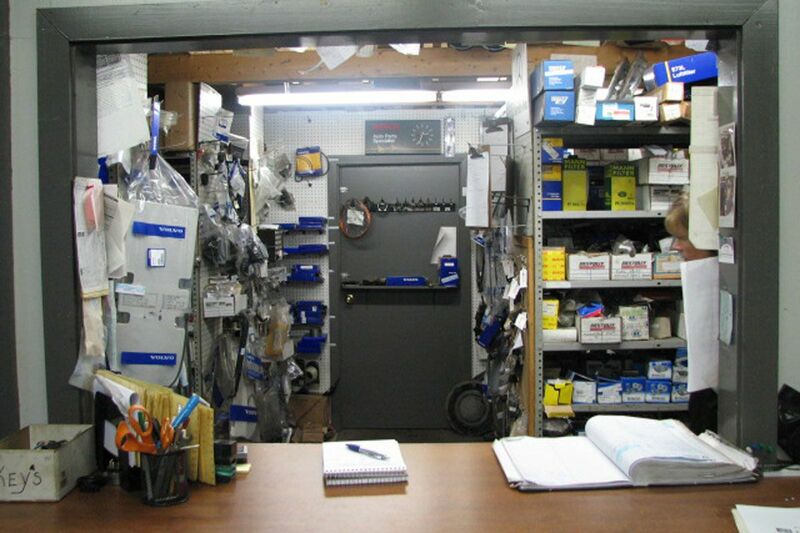 An expanding sales and service shop meant it was too hard to run and manage three different business locations. Cracked up Volvo 740 in front, being a Volvo it’s driver likely immerged from the collision in better health then when they went in. 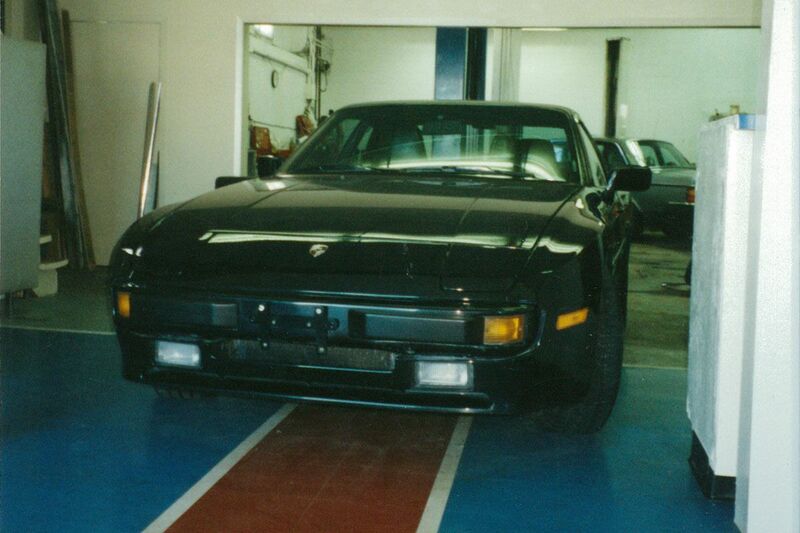 A 1987 Porsche 944 being pushed into its showroom spot at our second service location of 1359 Hammond. 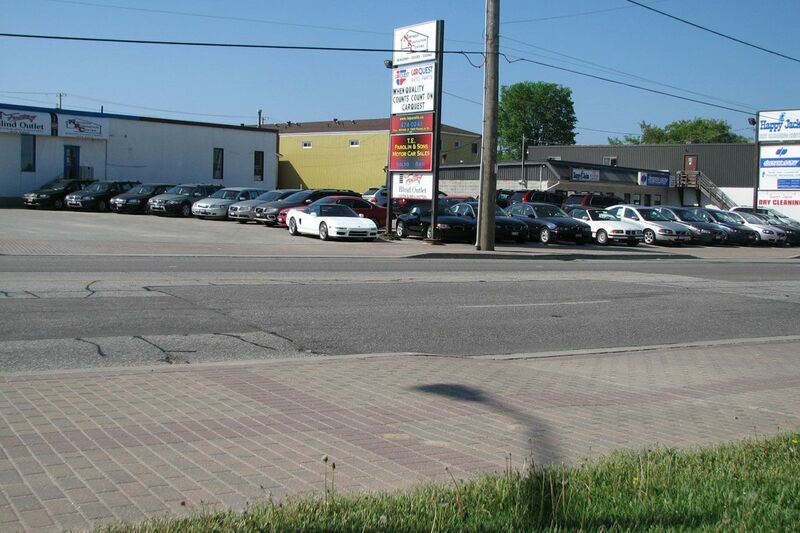 This shop is now North Bay Auto Service. 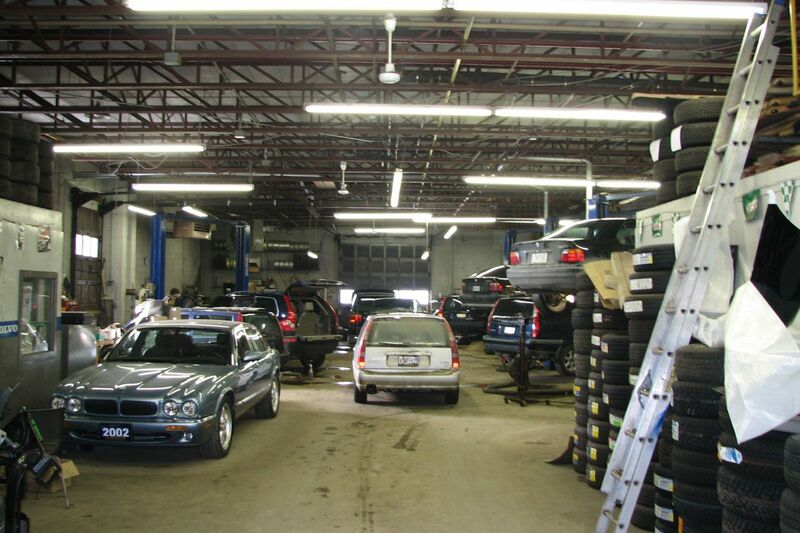 This shop served us well until more room was required, necessitating a move in 2000 to a larger facility. 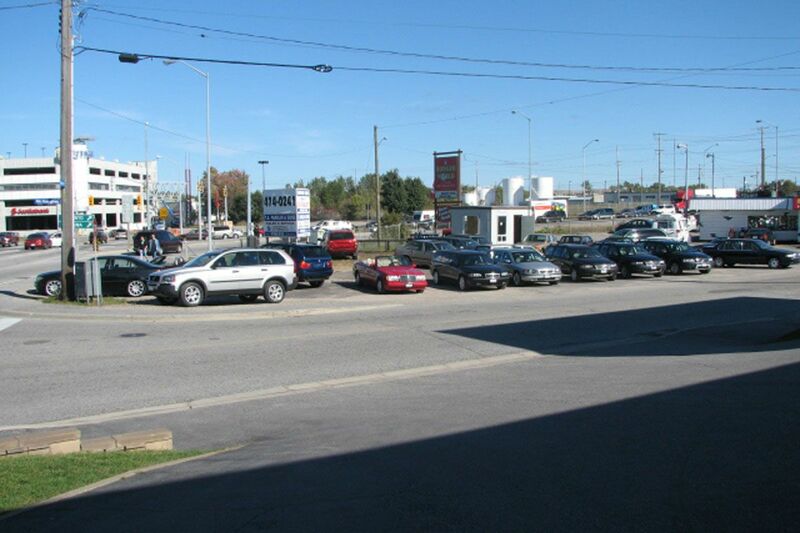 Pretty typical traffic jam of cars at our third facility at 1345 Franklin St (behind NGM glass). The 1345 Franklin facility was not the prettiest and lacked proper frontage but its 6000 square ft garage allowed us to grow the operation even more. Another move would be required in 2010. One of the final photos taken of the Hammond Street lot sometime in 2006. 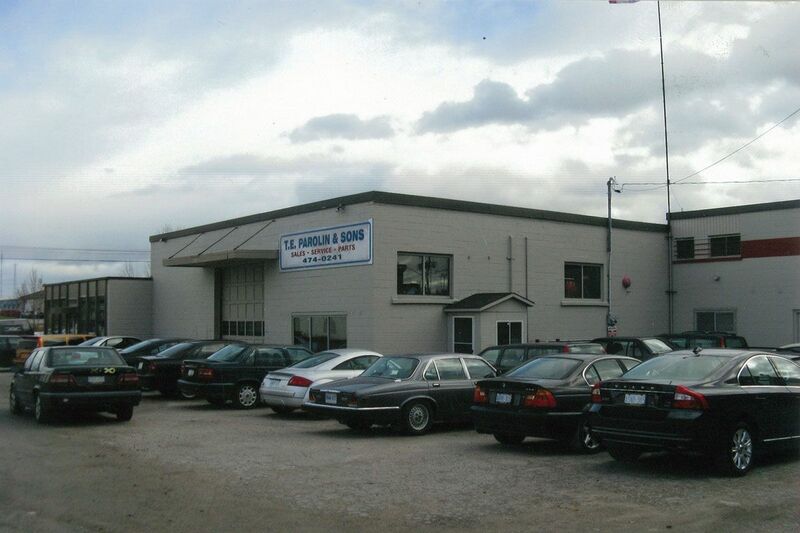 A stalwart of the North Bay automotive scene since 1987 had been the “nice cars on the corner of Fisher”. Shortly after the photo was taken, the lot had to be moved down the street on Fisher St. due to the expansion of Burger World. 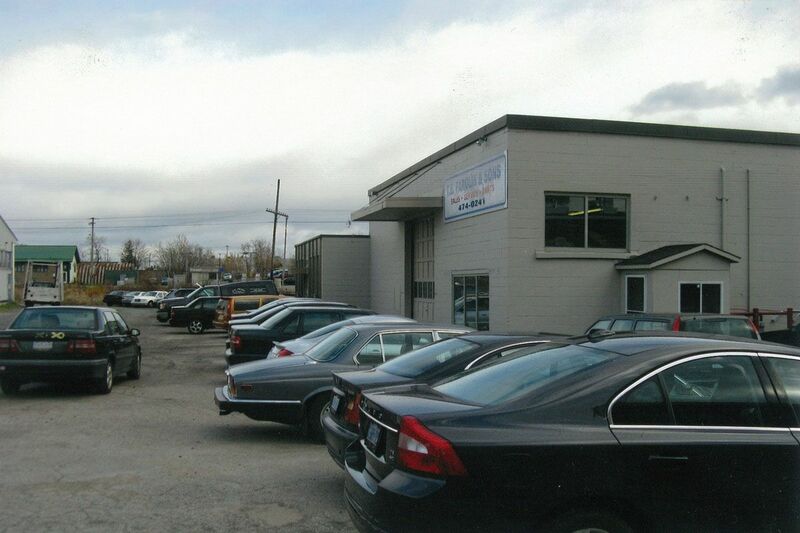 The Parolin lot had always been located beside a burger joint since inception, change was afoot. A beautiful summers ‘ day at 1345 Franklin, near the end of our over 10 year tenure at that location, the dusty and hole ridden minefield that was the parking lot was becoming quite an annoyance. Inside shot showing a bustle of activity at 1345 Franklin’s rather large shop. In case you are wondering, the record amount of cars stored inside at one time was 25. Parts department and front reception desk at 1345 Franklin, this area always seemed to be too hot in the summer and too cold in the winter. A gaggle of fine European automobiles at our final “separate lot “on Fisher St., this location being directly beside Happy Jacks dry cleaning. Soon, larger premises that brought the sales and service operations under one roof would be required. Our move to the 1864 Seymour st location achieved this in Dec 2010 (our exact 25th anniversary of being in business).